This tie will make a perfect addition to any suit. 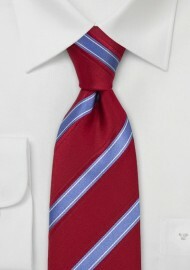 Suits in navy, gray, charcoal, tan, and even olive will all set a nice foundation for this stunning red and blue striped tie. 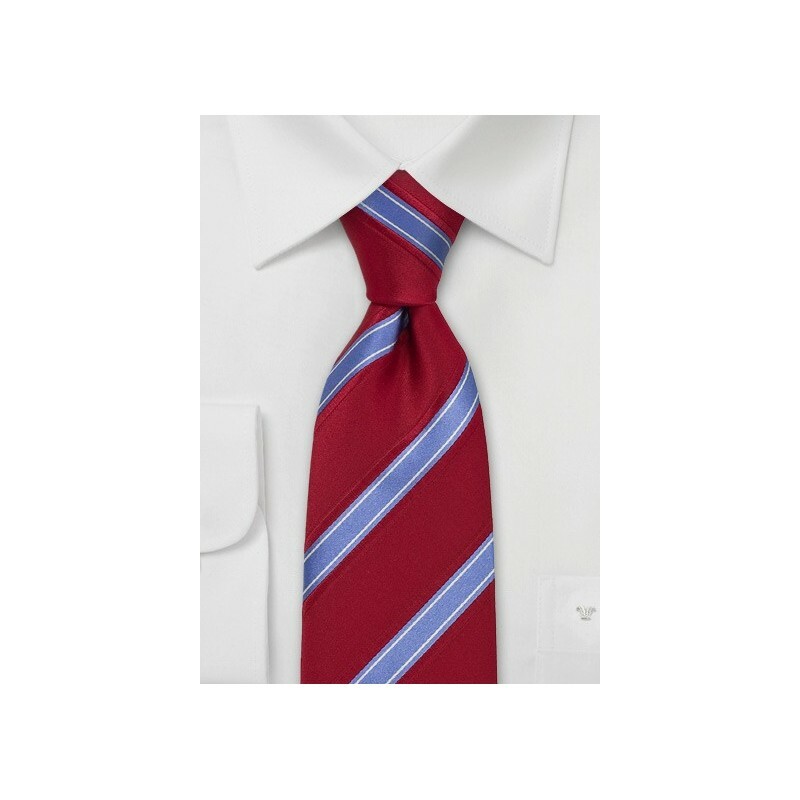 It is a tie that has a contemporary design and colors, but is still classy enough for any office environment. Even though this tie will look nice with any suit color, we suggest a navy check-patterned suit and solid white dress shirt for this tie. Handmade from 100% silk by Italian designer label Cavallieri.